I was never good in Chemistry, but I did more than pass my courses. Still, I cannot explain the attraction I have for everything related to the Periodic Table. Who doesn’t find it fascinating? 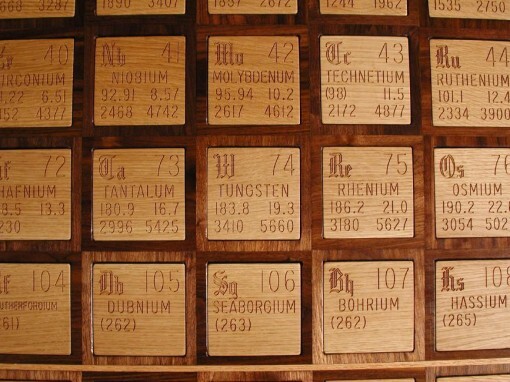 Hate it or love it, the Periodic Table has something about it that you just can’t ignore. Dubbed Elemental Love, the poem integrates some elements in their symbol form. Now it is up to you to dig up those memories of the Periodic Table and remember what the two-letter symbols stand for. It’s not that hard – especially if you have been fixating on the Periodic Table in the past several years. In case you need some help (shame! ), here are the elements used in the poem (in random order): copper, lead, silver, nickel, argon, oxygen, gold, neon, and lead.